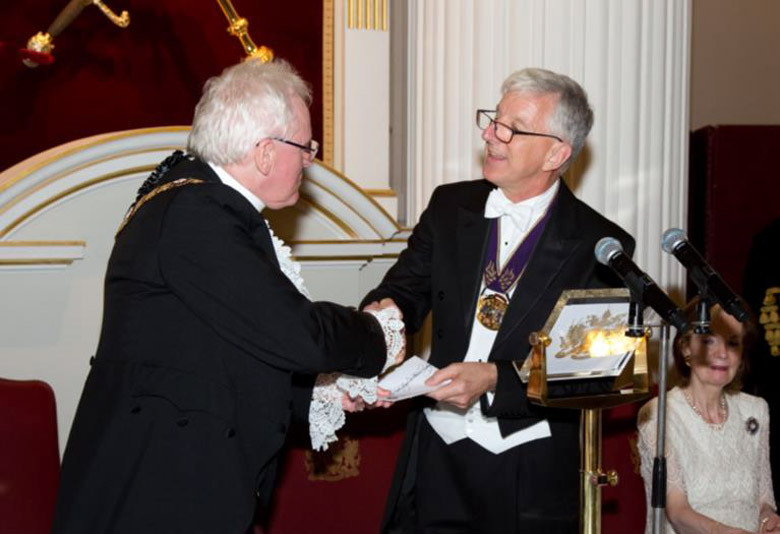 The Lightmongers annual Summer Banquet took place 7th July at Mansion House, the historic home of the Lord Mayor of London. 195 members and guests enjoyed the wonderful setting of the famous Egyptian Room as well as great food and company. 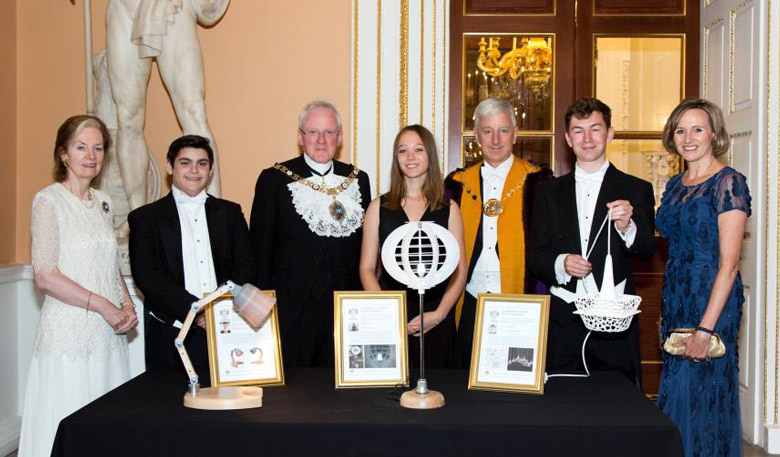 A highlight of the evening was the announcement of the winning entries to the Lord Mayor’s Luminaire Design competition, which was focused on designs from young people. The Lord Mayor and the Master made the presentations to the Award Winners. Ruby Grut, James MacMillan and Ben Marcus. The Award Winners, with the Lord Mayor and Lady Mayoress and the Master Mike Simpson and his wife Jo. During the evening the Master, Michael Simpson, presented a cheque for £1,000 from the Lightmongers Charitable Trust to the Lord Mayor’s Appeal for this year. It was a very enjoyable evening for all those attending and a great opportunity for members to entertain family, social and business guests in a superb and prestigious setting. If you want to make an early reservation in next year’s diary, the provisional date for the Banquet is 6th July 2018.